Jim Everett, who also goes by his Aboriginal name, puralia meenamatta, is a poetry, play, political and academic paper and short story writer whose work has been featured in a range of major anthologies. Jim wrote, directed, produced and acted in his first play We Are Survivors in 1984 and has since had producer roles on a range of documentaries. Jim is of Aboriginal heritage and is from the clan plangermairreenner of the Ben Lomond people, a clan of the Cape Portland nation in North-East Tasmania. Jim has visited many remote Aboriginal communities across Australia, has a long history in the public service in Aboriginal Affairs and more than 50 years of involvement in the Aboriginal Struggle. 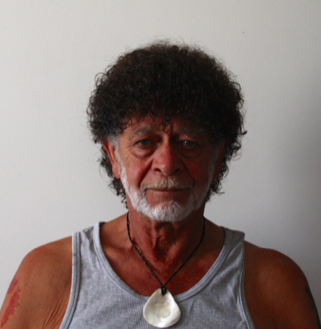 Jim lives on Cape Barren Island where he writes and continues his contribution to Australia’s arts and culture. Jim was a guest speaker at the Tasmanian Writers’ Centre’s Hidden Stories event, which brought together some of the most respected Aboriginal writers and artists to celebrate and speak about the stories of Aboriginal culture and heritage.